Framed Signed Print Cardiff Pub Series Horse & Groom. 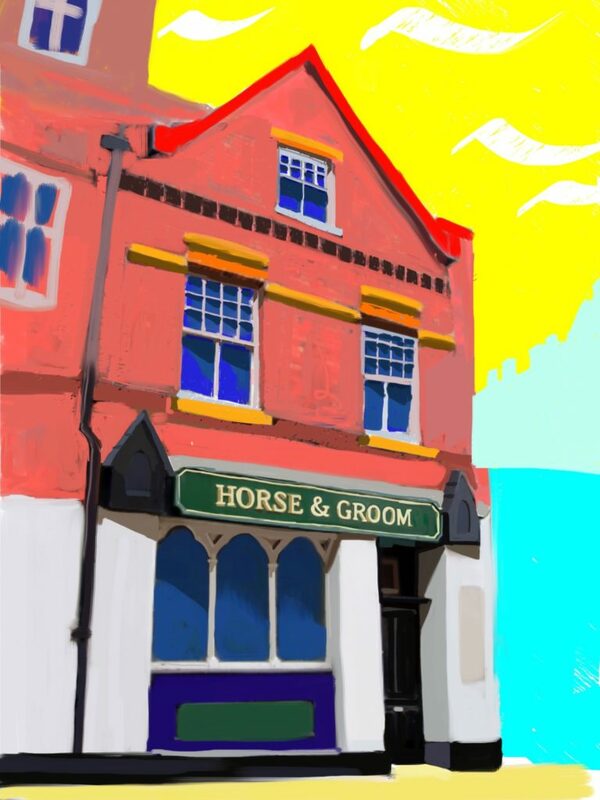 One of the earliest pubs in Cardiff, and was also one of the smallest, the Horse and Groom was said to be haunted by a poltergeist. It was a very traditional pub which gradually placed it at a disadvantage to match the more trendy venues and coffee houses on St. Mary Street. The pub was originally adorned with years-old pictures of the regulars behind the bar, and in 1967 there still existed an open brass gas pipe for lighting one’s choice of smoking implement. Made to order, your canvas print will be supplied post free, ready to hang, varnished and hand signed by Christopher Langley, complete with a numbered certificate of authenticity.